Lemon juice is a popular ingredient used in fresh lemonade, facial tonics, and natural household cleaning recipes. Folk medicine says this vitamin C-rich juice may even dissolve kidney stones, yet science remains inconclusive on these claims. But, science does agree that lemon juice may support kidney health; on the other end of that stick, lemon juice is by no means a cure all for kidney stones. Regardless of the ambiguity, lemon juice has potent nutritional benefits for the kidneys, possibly providing protection against kidney stone development. 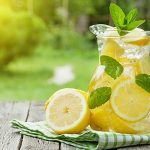 Again, many factors come into play here; however, lemon juice may still be a beneficial addition to the diet of anyone wanting to support the health of their kidneys. Cystine – Often the result of a genetic disorder. Struvite – Typically develop after a kidney infection. Uric Acid – Typically result from overconsuming meat, fish, and shellfish – generally rare. Calcium Oxalate – Buildup of calcium deposits in the kidneys – most common. Calcium is a necessary mineral for the bones, teeth, heart, and nervous system. When the body has excess calcium, the kidneys respond by removing it from the blood and excreting it out through the urine. 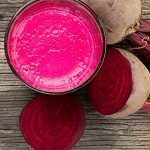 The problem arises when the body also has excess oxalate, a plant compound found in foods like spinach and kale. This combination can form calcium oxalate, the most common form of kidney stones. Lemon juice contains high levels of citric acid, not to be confused with ascorbic acid (vitamin C). While lemon juice contains both, citric acid seems to contribute to reducing the chances of developing calcium oxalate stones. In clinical studies, citric acid from lemon juice has been shown to reduce urine acidity, thereby reducing kidney stone incidence. 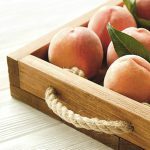 Vitamin C may also provide protection, yet it is unclear whether or not this protection is as significant as citric acid. 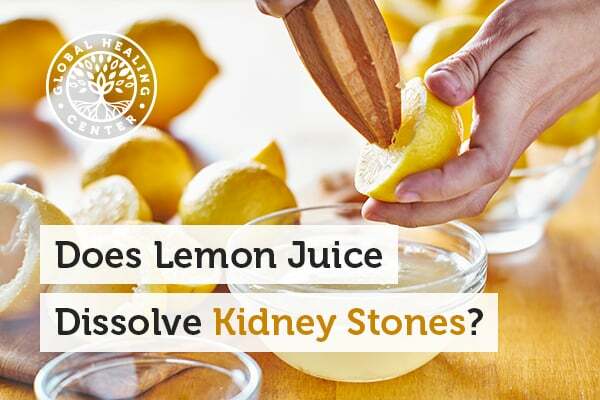 Regardless, the bottom line is that lemon juice offers a complementary approach to supporting kidney function and, depending on the type of stones in question, possibly halting formation before it starts. How Much Lemon Juice Should You Consume? Two to four ounces of lemon juice offers plenty of citric acid and a variety of other nutrients and antioxidants, all of which may be helpful for supporting kidney health. Always consume lemon juice in its raw, natural form by juicing organic lemons yourself. Never purchase bottled lemon juice, as these products are usually pasteurized and stripped of their raw enzymes and vital nutrients. 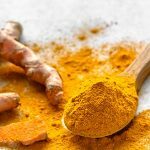 Take a shot of it by itself or add it to smoothies, mix it with hot water and some raw honey, or make your own lemonade by combining fresh lemon juice with cold water. If you like your lemonade on the sweeter side, I suggest adding stevia. Has lemon juice had a positive impact on your health? What are your favorite ways to consume lemon juice? Leave us a comment and let us know how you enjoy it!